Rushing to France, Belgian sleuth Hercule Poirot finds his client stabbed to death. Agatha Christie whodunit with John Moffatt. 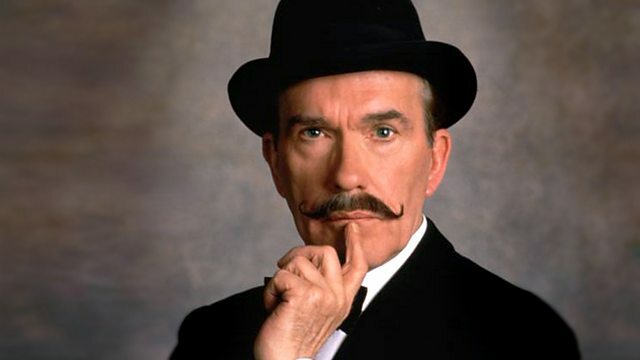 Hercule Poirot is summoned urgently to France, but on arrival he discovers that his very wealthy client is dead. The Belgian sleuth launches a murder investigation and the baffling mystery begins to unfold. Agatha Christie's whodunit stars John Moffat as Hercule Poirot, Jeremy Clyde as Captain Hastings, Madeline Smith as Dulcie Duveen, Joan Matheson as Madame Renauld and Stephen Tompkinson as Jack Renauld. From the book first published in 1923 and dramatised by Michael Bakewell. First broadcast on BBC Radio 4 in 1990. A selection of programmes celebrating 125 years since the birth of The Queen of Crime.